The D3O® Heart Shield aims to spread the impact force away from the heart and to reduce transmitted force. The flexible nature of D3O® and the compression garment keep the padding located over the heart to properly shield the player despite active movements. 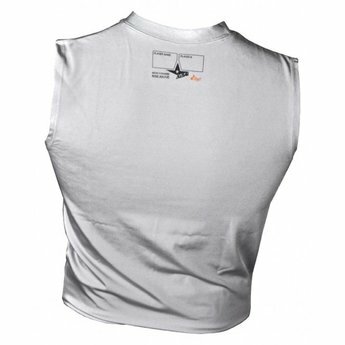 The low profile design ensures that children and teens will not resist wearing such a protective shirt. Intended for baseball, softball, hockey, football,lacrosse, soccer, and karate. 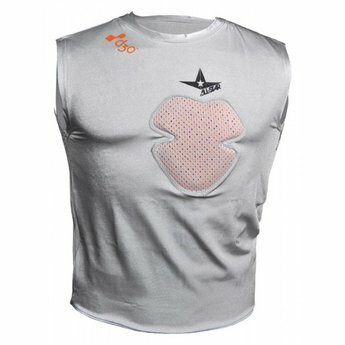 Perforated D3O® and moisture wicking fabric keep player cool. Machine washable with locker tag on rear. Please note, protective gear can not prevent all injuries.